If you‘ve seen my instagram, then you would have already known. But if are one of those rare beings that don’t have instagram, then let me tell you here granny (or you might have guessed from this post’s category tag) that I am pregnant again. Wearing Orkid from Nora Danish for FashionValet (top only). Allow me to take you back to the scene in my toilet a few weeks ago when I found out. There I was (no need details, you get the point) holding the stick. I hadn’t gotten my period in 2 days and I’m never late (might be late to everything else, but my red aunty is never late). So I kind of expected the stick to be a plus sign. I took a deep breath and looked. A very clear plus sign. Whatttt, didn’t I just give birth a few minutes ago?!!! You see, I’m the type that would laugh whenever someone asks me when I’m going to get pregnant with second child. “Oh another 2, 3 or even 5 years…” Of course whenever someone asks me that, it’s usually right after I’ve had a wrestling session with Daniel because he refuses to finish his food, and they usually end up as blotchy stains on my headscarf. “Minimum 5 years!” I would add after the thought of having two of those. Ohhh I shudder. Little did I know I was already pregnant with my second baby. After I’ve spent some more time with the blue stick, I decided it was time to tell Dean. The moment he and I looked at the stick together, we just hugged and laughed out loud. Funny? Not really. But it was so unexpected that we both went “But how did this happen??? Like when??? ?” and we laughed some more. Wow, we’re fertile. We told our loved ones after we confirmed the news, and received a few “Alhamdulillah”s and a whole load of “No wayyyy!! Are you for real?!! !” and one very funny “Omg you’re screwed for life.” I need new friends, baby. We joke about not wanting a second child, but now that he or she is on the way, I’m getting pretty excited. To see my family grow, to see Daniel as a big brother, to see how our lives will just change with the arrival of our second angel. So thank you Allah swt for this abundance of rezeki You have showered me and my little family. I pray that this will be a smooth pregnancy with smooth (and short, pleaseeeee) labour and we will be blessed with another cute little healthy bundle of joy. But my blotchy headscarves are feeling very very nervous about all this. Alhamdulillah vivy.. I jd silent reader suchhh long time.. Start u LDR with ur hubby..and now. 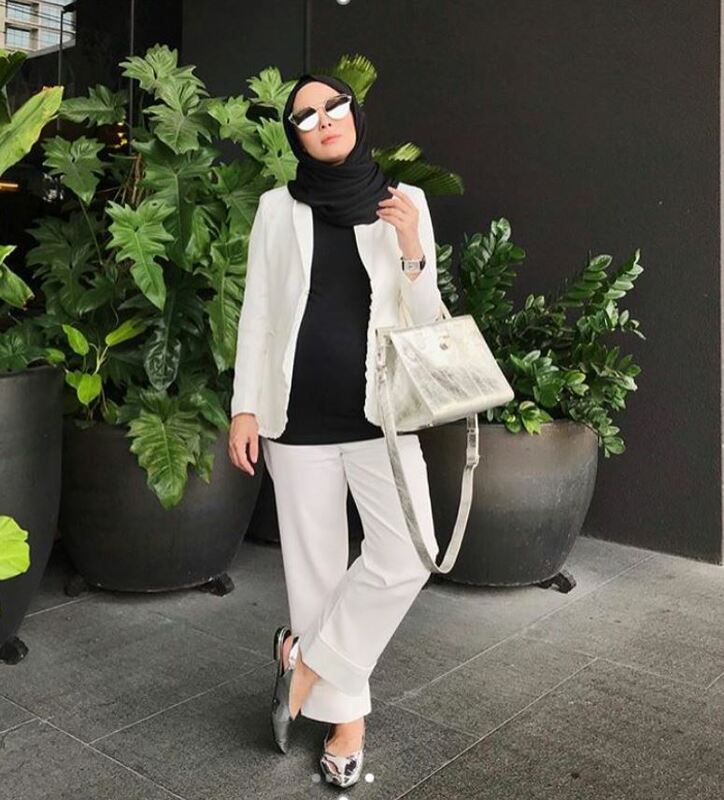 2nd child otw.. Syukur vivy.. Im so happy for you vivy.. Take care of ur children v.. Itu amanah hebat.. I tergelak baca when you said “how did this happen?”. LOL! Well, you know what, I kinda expected this when you were writing about putting Daniel to sleep in his own room in your previous entries. You know what they say..co-sleeping is the best contraceptive! Enjoy round two baby! Ting ting ting!! Oh, and congratulations! Rezeki Ramadhan. Alhamdulillah. Congratulations, Vivy! More adventures to come for Malaysia’s very own DVF! congratulations Vivy! Alhamdulillah, may you have a smooth pregnancy. Congratz. May this pregnancy be a smooth one. Kind of sacrificing our sleep when they were small but both of them are now 14 and 13 years old, a boy and a girl. I`m enjoying life now…congratulations to both of you and may you have an easy pregnancy. Amin..
Alhamdulillah. You’re a blessed woman. It might going be a little harder with two babies under two, but it’s all worth it. Insya Allah.. I wanted to know if Melati ND4FV is breastfeeding friendly? Looks like it but I don’t know. Hehe.. Is it? Semoga Vivy dan kandungan sihat walafiat..
MashaAllah. What a blessing. Congratulations and may it be a smooth journey! Congrates. No wonder ur ootd banyak sorok perut. Hehhe. 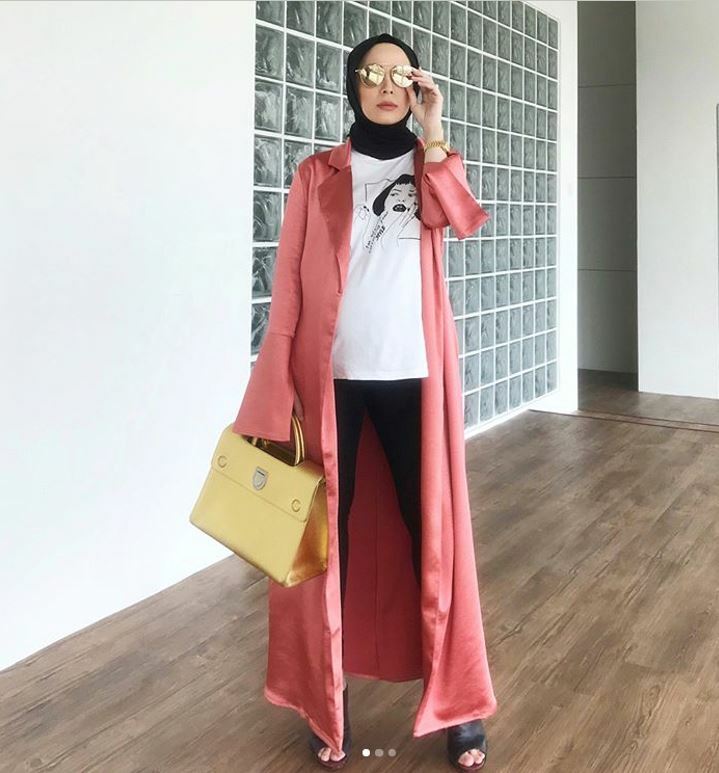 Vivy, Alhamdulillah…. Let’s hope this time is gegurl….ameen yrb…. Hi Vivy. Sama la dgn I pun. Getting pregnant while my son still haven’t learnt to walk. -__- it kinda hard for me since my son a bit clingy. Tak mau berenggang langsung especially bila orang asyik tell him “Dalam perut ibu ada adik”.. Goodluck! I wish us the best!